This circle brooch from Germany has the most complex design and is the most unusual of all the pieces in this group by Schreiber & Hiller. 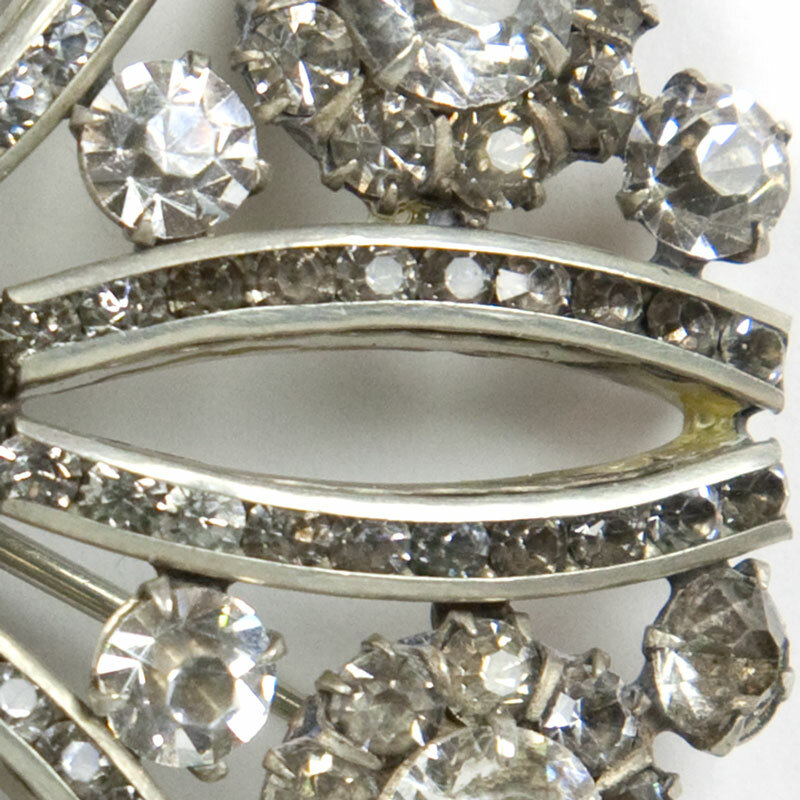 The curved, slender links are set with small black diamanté. Claw-set clear stones in various sizes form the rest of the pattern. 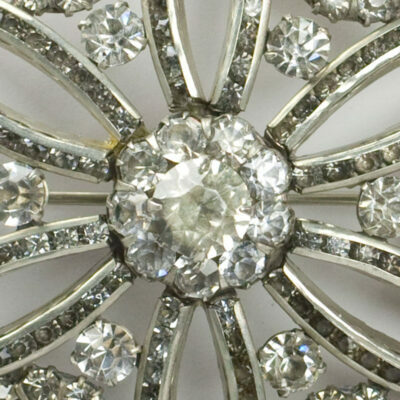 While some of them have aged a bit, this brooch still has lots of sparkle. It has a closed back and trombone clasp. A stunning and imaginative Art Deco design. 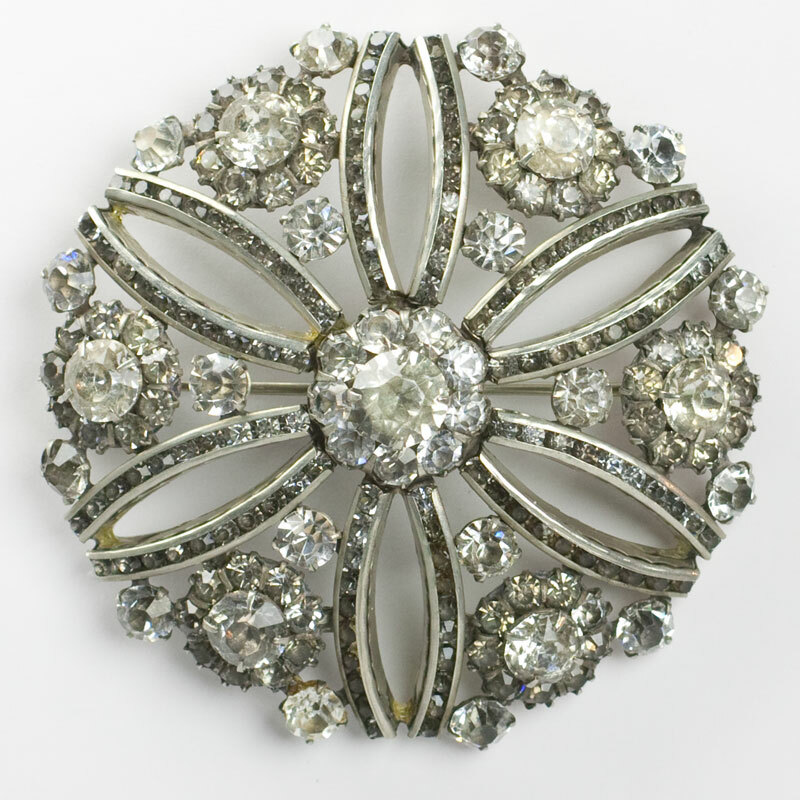 Although this brooch is no longer available, scroll down to see other brooches by the same maker that you may like. 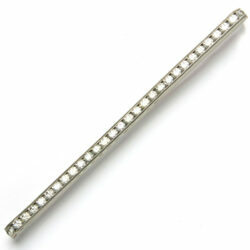 This vintage bar brooch has a 3 ½”-long, single channel of diamanté in a rhodium-plated setting. From the side, the shape is a trapezoid. This design incorporates the flat-top construction of the patented link. This brooch closes with a trombone clasp. A great piece for a jacket lapel! Scroll down to see bracelets by this maker to wear with this brooch. 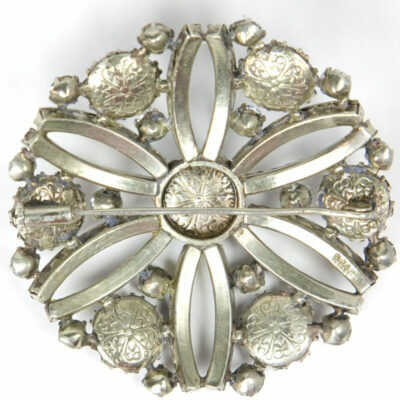 This 1930s brooch by the German maker Schreiber & Hiller reminds me of a bolt of lightning, a popular theme in Machine Age jewelry of that decade. This piece is formed by seven flat-top links that are bent to form a sort of zig-zag shape. 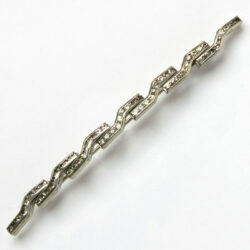 Long (3 ¼”) and lean, this unusual brooch closes with a trombone clasp. 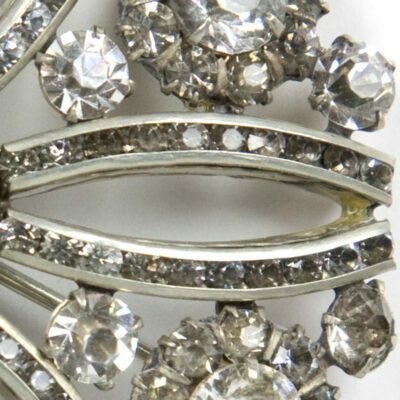 An elegant and unusual adornment for a jacket lapel. Scroll down to see coordinating bracelets.